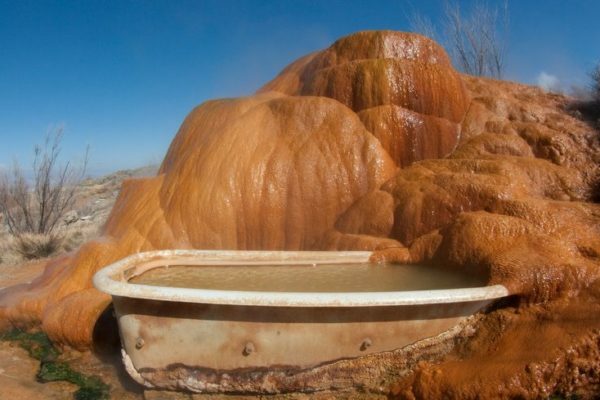 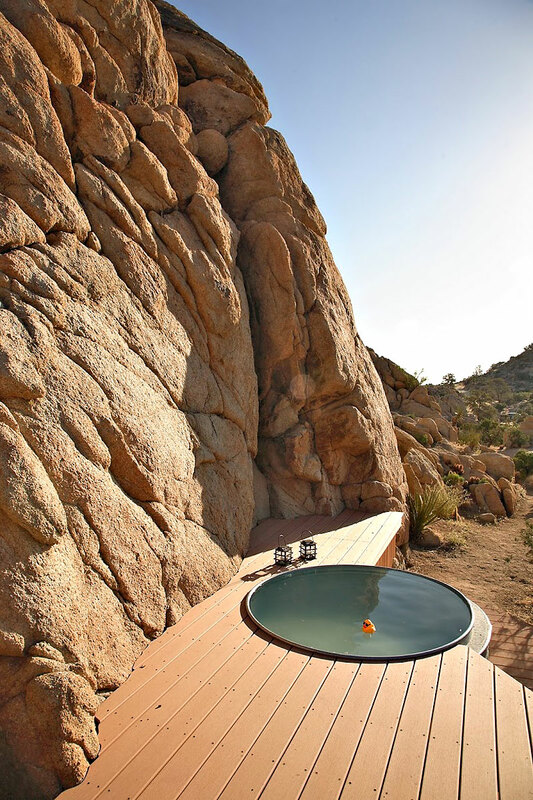 What Bonnie & Clyde really needed was a desert hideaway like this … complete with a cowboy tub and rubber ducky, of course. 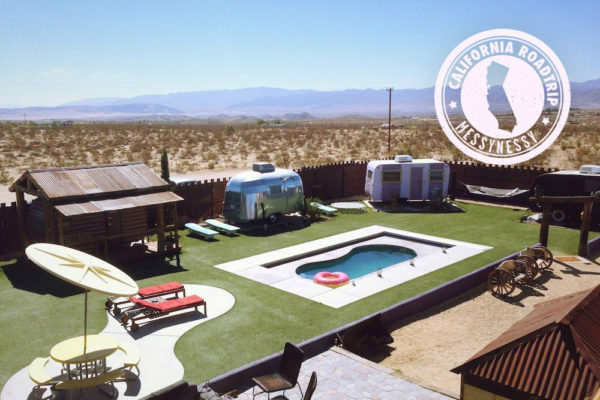 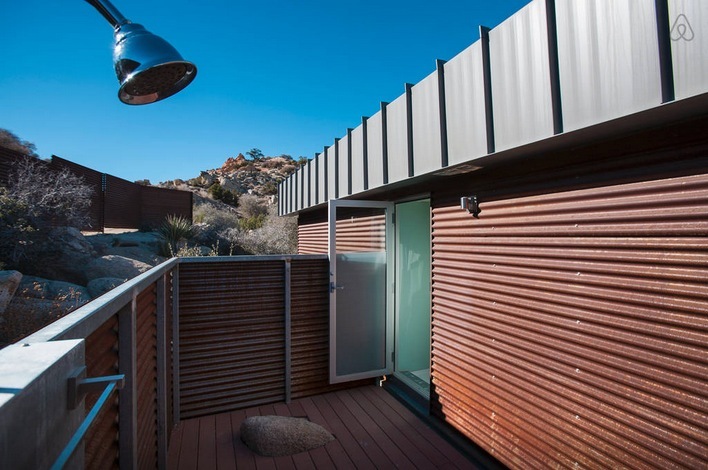 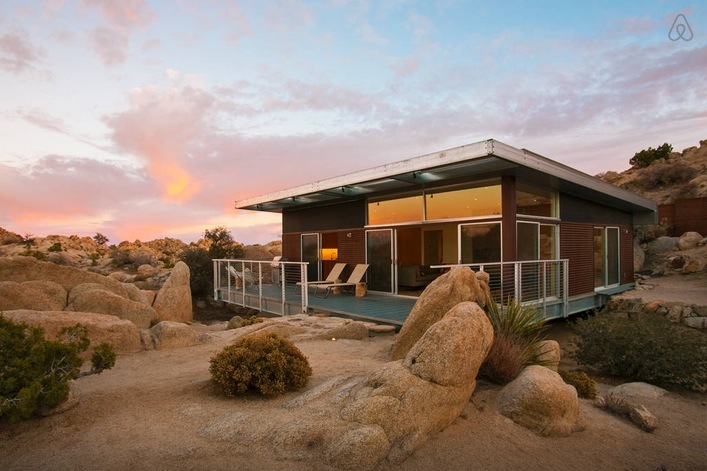 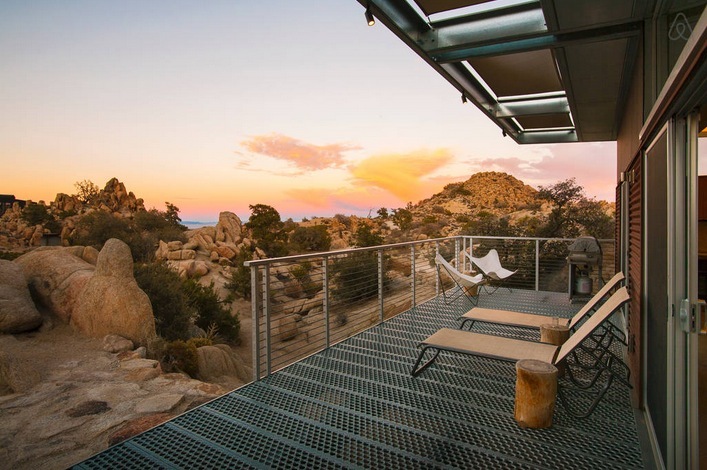 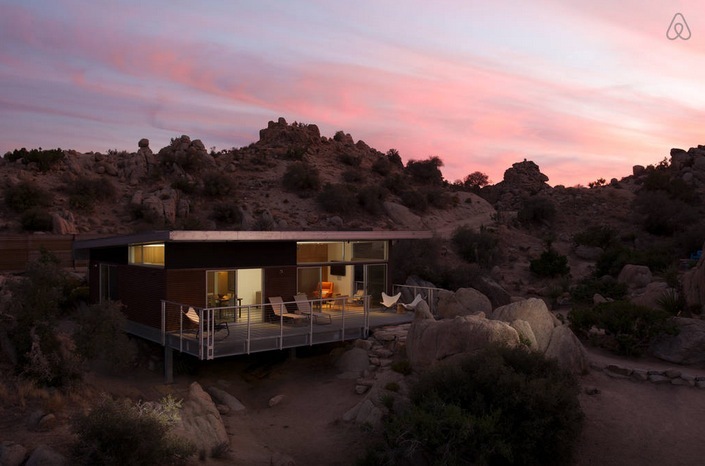 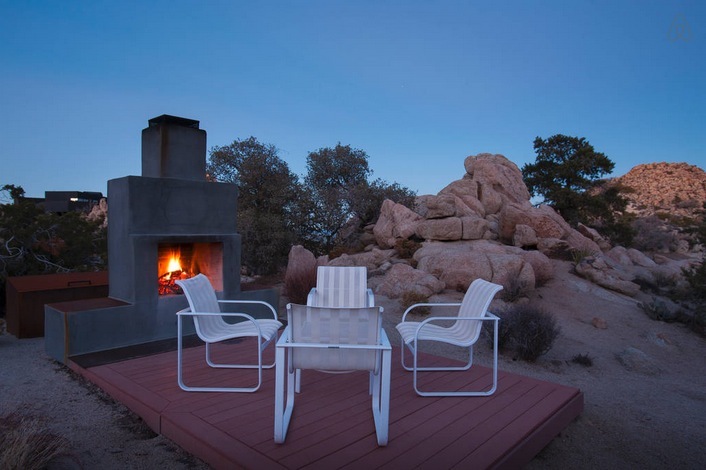 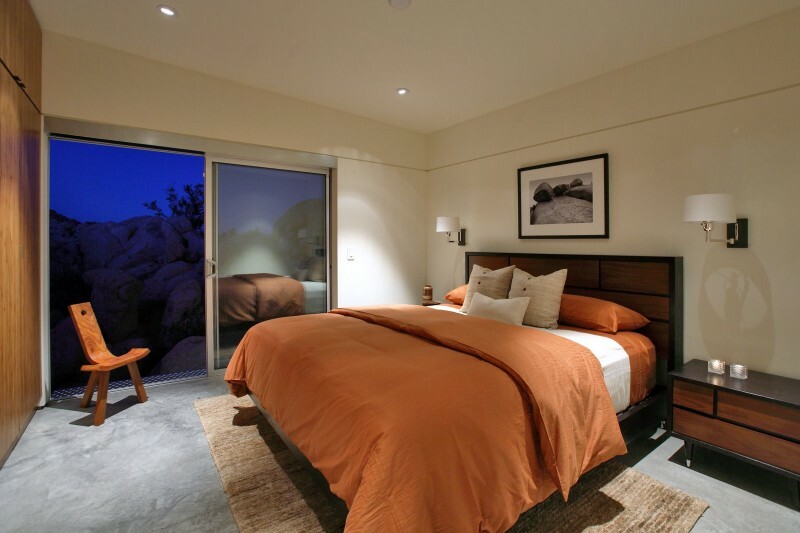 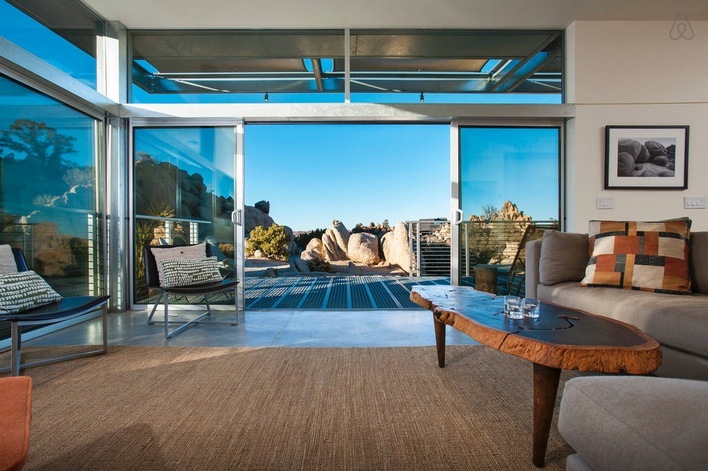 Welcome to the Rock Reach House, not a mirage, but a two bedroom AirBnB escape in Yucca Valley, California. 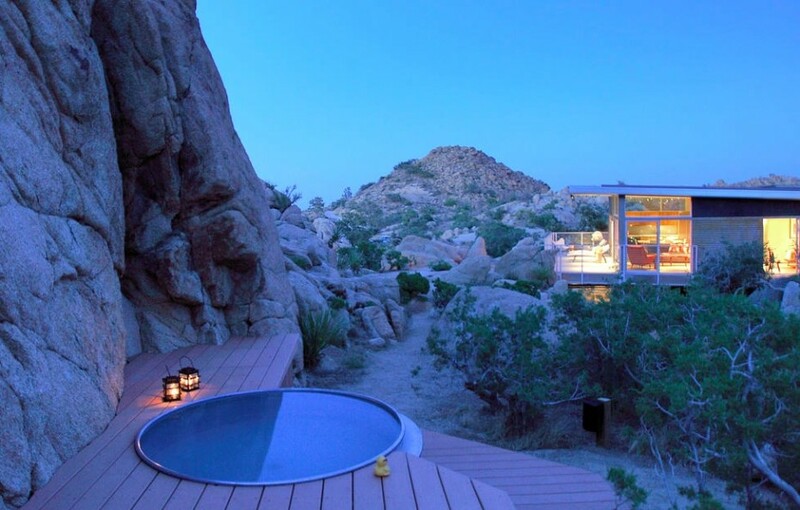 It was built in 2009 as an architectural prototype by a Palm Springs-based studio o2 Architecture, who have pretty much mastered the art of living like the Jetsons in the middle of the desert. 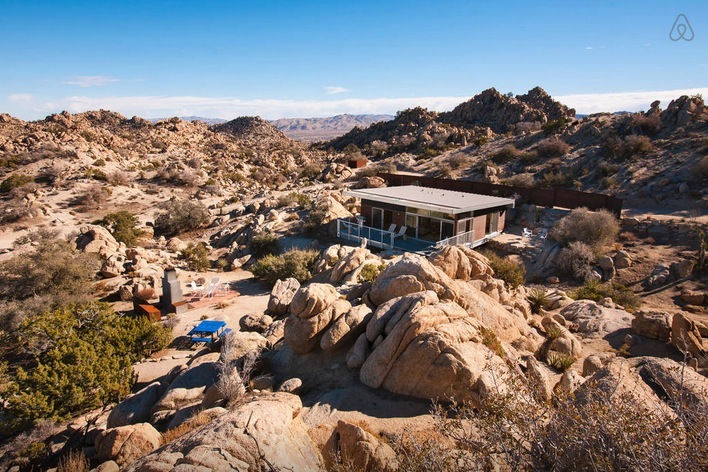 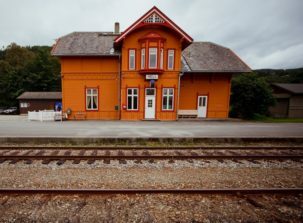 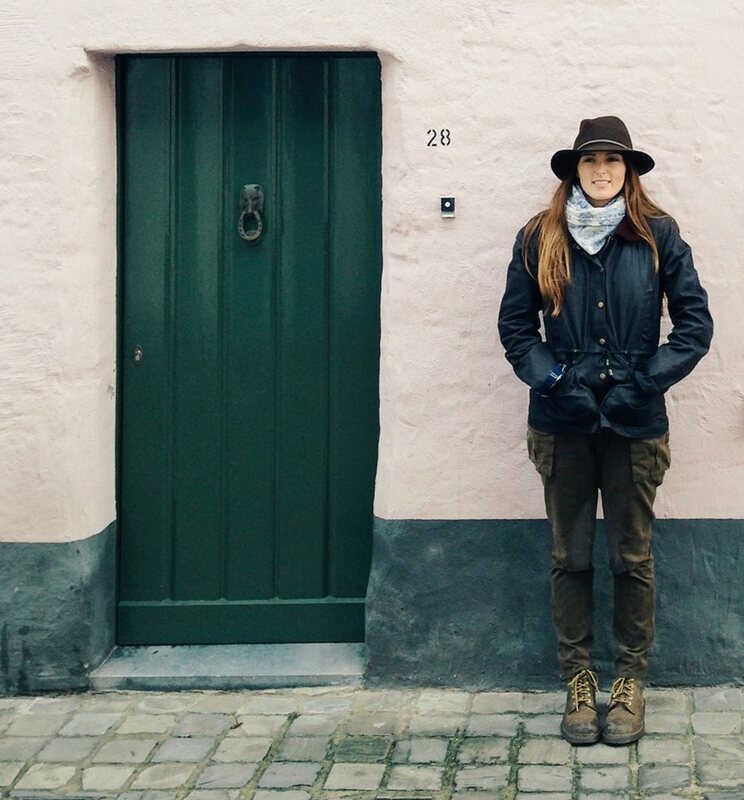 It comes with all the comforts of disconnecting from life without really having to disconnect; wifi, Apple TV, electric car charger, and between two couples, you’d be looking at around $175 per Bonnie & Clyde. 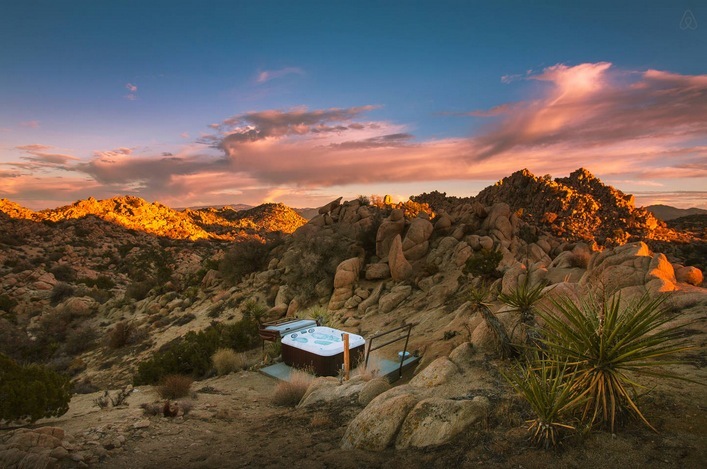 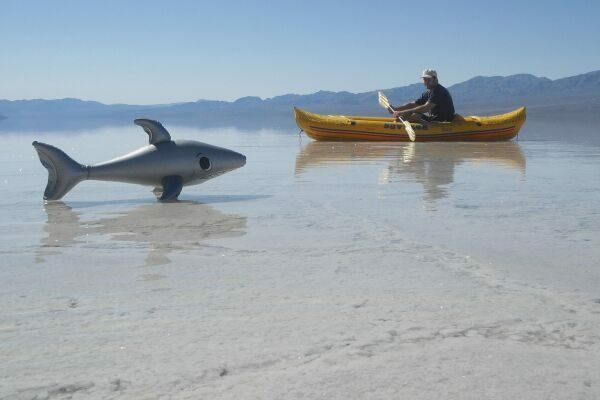 Take a desert dip at the Rock Reach House.